To defend and refer to financial gain in terms of family business and employment as a reason to allow fur farming as well as trapping and killing of wild animals - is the same as to say that some people lack sympathy and compassion and pay their bills with suffering and blood. The same is to lie to consumers and argue that labelling initiative developed voluntarily by the fur trade, assure consumers that their fur has come from a country where welfare regulations or industry standards are in force. Because - there are no welfare regulation and standard or controls in FUR animal business. 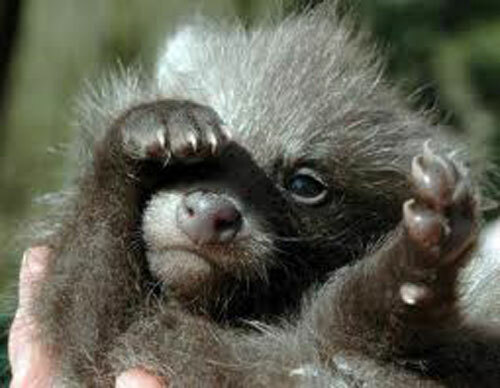 WeAreFur - the new website from the International Fur Federation and the worldwide fur trade. We're passionate about collecting together everything this exciting and diverse trade means, from fur fashion to fur farming through to the sustainabilty of the fur trade. We hope you enjoy as much as we've enjoyed bringing this new website to you. We Are Fur. The international fur trade is a responsible and growing industry. More than one million people are employed full-time by the fur trade worldwide and many more on a part-time basis. Fur is more popular than ever. People are wearing fur in greater numbers and more designers are choosing to feature evermore fur in their collections. Global fur sales have been steadily rising since the IFF began to collate figures in 1998 – in 2011 total sales turnover was at just over $US 15,000,000,000. The majority of fur is sold through major auction houses: Kopenhagen Fur in Denmark, SAGA Furs Oyj in Finland, North American Fur Auctions in Canada, American Legend Co-operative in the USA, Fur Harvesters Auction in Canada and Sojuzpushnina in Russia. Nearly two thirds of all fur sold worldwide is Origin Assured (OA™). Origin Assured is the labelling initiative developed voluntarily by the fur trade to assure consumers that their fur has come from a country where welfare regulations or industry standards are in force. Fur is without doubt the oldest fabric known to man and is one of nature’s most enduring products. Fur comes from sustainable sources - nowadays the majority of fur is from specialty farms and around 15% is from abundant wild populations. Fur is tanned in the same way leather is, but uses chemicals gentle enough to ensure the natural hairs are not stripped from the skin. Nothing feels like natural fur. Fur is contemporary, cutting edge, versatile and is being worn more than ever before. It is a durable, natural and sustainable material. Every piece of fur is different; you will never find two identical fur garments. Fur garments continue to be made by hand using craftsmanship and manufacturing skills that are passed down through the generations. Whether you choose to eat meat, eggs or dairy produce, use medicines tested on animals or wear leather, fur, silk or wool you will want to be assured that animals have been treated humanely. The fur trade invests $millions in animal welfare research, certification programmes and animal husbandry technology in addition to supporting local, regional, national and international animal welfare legislation. By far the biggest exporter of fur is Europe. The biggest importer of fur is China. Demand for fur has remained stable in the traditional markets throughout the international economic downturn, and demand is growing not only in China but also in Korea, Ukraine and South America. Many different communities depend either in part or almost entirely on the fur trade. In the Greek regions of Kastoria and Siatista, close to 80% of the population is employed by the fur trade. In the north of USA, Canada, Russia, Finland, Sweden and Norway first nation peoples hunt and trap wild fur animals from sustainable populations to this day and trading furs gives a vital boost to these marginal economies. Karakul sheep have been found to do very well in the desert regions of Namibia where few other animals or plants can thrive. These herds of Karakul provide very useful employment and income to local farmers living on the economic margins in Namibia. The fur trade is truly international, linking animal feed companies, farmers, specialist vets, trappers, hunters, academic researchers, auctions, wholesalers, buyers, manufacturers, dressers, dyers, designers, design houses and international fashion brands, retailers and trade associations around the world. Most producers sell their pelts through auction houses to international buyers and brokers. Untreated pelts, dressed and dyed pelts and fur garments are routinely traded across several borders, making the fur trade one of the most dynamic and fascinating trades today. The fur trade adds value to many local economies at each stage of production and trade. The international fur trade supports a remarkable range of lifestyles, cultures and skills. Approximately 85% of fur is from fur farms, 15-20% fur comes from sustainable, abundant wild populations. No endangered species are used in the fur trade. Fur farming and wild fur trapping or hunting are governed by local, national and international laws, regulations and guidelines for animal welfare, environmental impact and biodiversity sustainability. Most fur pelts are sold to fur traders and wholesalers by farmers and trappers through fur auction companies at purpose built auction houses. The largest of these are based in Finland, Denmark, Russia, USA and Canada. Fur is sorted and graded by skilled trained workers at the auction houses. The raw pelts are sent by the auction houses or buyers to dressers and dyers to be treated (most dressing and dyeing facilities are based in Baltic States, Canada, China, France Germany, Greece, Hong Kong and Italy). The skins are softened and preserved using a variety of tanning techniques and some chemicals, exactly as with leather, although the chemicals used for fur tend to be gentler as obviously the fur is not stripped from the skin. All chemicals used are governed by regulations and legislation and are safe for use in clothing. 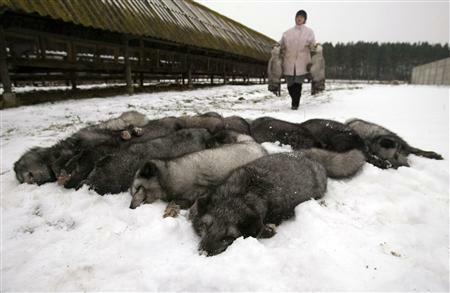 The treated pelts are then sent to be made up into fur garments, accessories or home furnishings. Working with fur is a skill; craftsmen and women learn a mixture of traditional and modern techniques for hand cutting, stranding and sewing fur. Fur nowadays is not bulky or heavy thanks to the continuing development of techniques and training of craftsmen. These fur workshops are based in the main in Canada, China, France, Germany, Greece, Hong Kong, Italy, Korea, Japan, Russia, Spain, Turkey, Ukraine and USA. However, it is still the case that many skilled, independent furriers design and hand make their own fur coats and sell them in their own specialist boutiques, or make them bespoke for clients. In the mainstream retail landscape, many designers working for larger brands apply fur to their designs as trim or accessories to impart a little affordable ultra luxury to the look. Welfare is at the heart of everything the fur trade does. The IFF Is dedicated to continued high standards of care and welfare for fur animals and supports scientific research in this area. The IFF promotes strict codes of practice that meet and exceed established and accepted standards for animal welfare for both wild and farmed fur. The International fur trade does not trade in endangered species. Fur farming is an important part of local agricultural economies. Fur farms are particularly suited for remote northern climates where arable land is at a premium and a great many fur farms support families and communities in rural areas where the climate and environment make it difficult to farm many species. Fur farms are often passed down from generation to generation along with the special skills needed. Fur farmers are proud of their tradition and of their animals. Wild fur bearing animals have been always been hunted or trapped by man. The ability to hunt animals as well as forage for food is a defining characteristic of homo sapiens. Using fur from hunted animals as protection from the elements is an equally ancient characteristic. Man’s earliest tools were created for hunting and skinning animals. It goes without saying that the fur trade is an animal use industry, like the meat, dairy, leather, wool, cashmere and silk farming industries and the medical research community. Clearly we have a duty to care for the animals used by the fur trade in a humane way. Fur farming and fur hunting and trapping are subject to local, national and international laws, regulations and standards. The International Fur Trade Federation and its members promote codes of practice that meet or exceed established standards for animal welfare. The International Fur Trade Federation and members have commissioned research studies looking into the environmental impact of a fur coat, from production to eventual disposal. Overall results from studies into its environmental impact indicate that natural fur has some important environmental advantages over its fake counterparts. The fur trade comprises hunting communities and many small farms and family businesses, craftsmen and women, manufacturers, dressing companies, co-operatively owned or publicly floated auction houses, designers and retailers. It is a small but global industry. Worldwide retail turnover in 2008 was just over US $13 billion. Fur is either farmed like chicken, cows or pigs or caught in the wild from abundant populations. The way in which fur is farmed or caught in the wild is in accordance with strict local, national or international standards or regulations. Fur farming in Europe and North America [which are the biggest producer regions] implement voluntary welfare codes and certification programmes in addition to following national and international laws. How does the fur trade work? Fur comes from farmers or certified trappers and is sold at auction in lots. Buyers send the fur to manufacturers and crafts people for treating and making into garments or accessories before shipping them to retailers. Does Fur come from endangered species? The international fur trade does not trade in or use any endangered species. 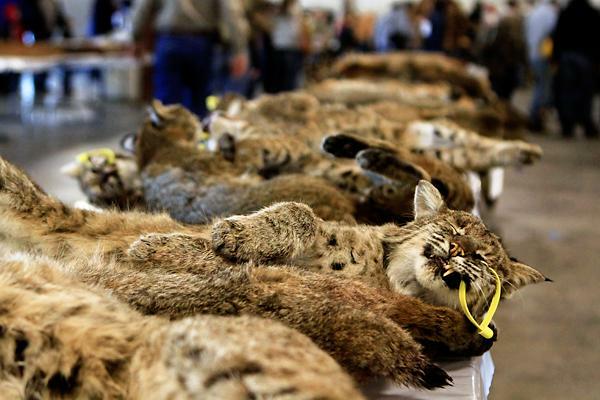 The fur trade supports and is a member of CITIES – the convention trade in endangered species. How can I be sure of the origins of fur used in garments? When you see a garment that bears the OA™ label, you can be assured that the fur you’re buying or wearing comes from a country where national or local regulations and standards governing fur production are in force. How can I look after my coat? There are a number of ways to look after your fur coat. We recommend that you put your coat in cold storage during warm weather to protect it from drying out. We also recommend that you have it cleaned once a year by a fur specialist. When looking after it at home, always hang your fur on a broad-shouldered hanger and give it room in your wardrobe so it doesn’t get crushed. If your fur gets wet, shake it out and hang it to dry in a well-ventilated room, never put it on a direct heat source. Once it is dry give it a shake and you are ready to go. What impact does fur have on the environment? Fur farming uses waste recycled from the fish, meat and dairy industries to feed farmed animals. 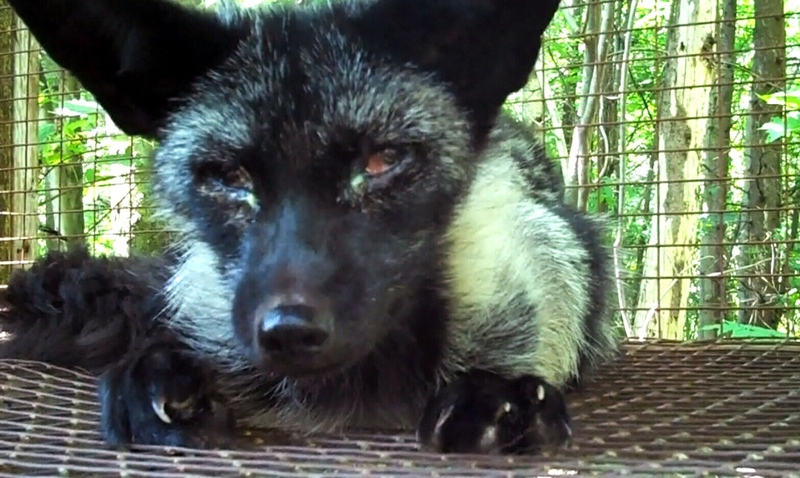 Fur farming is in accordance with environmental laws and regulations. Waste products from very modern fur farms are recycled for use as biofuels or fertilizer. Wild furs are taken from abundant species as part of conservation management in accordance with the sustainable use conservation principle.